JetBlue is footing the bill for its most frequent travelers to skip the standard airport security lines. 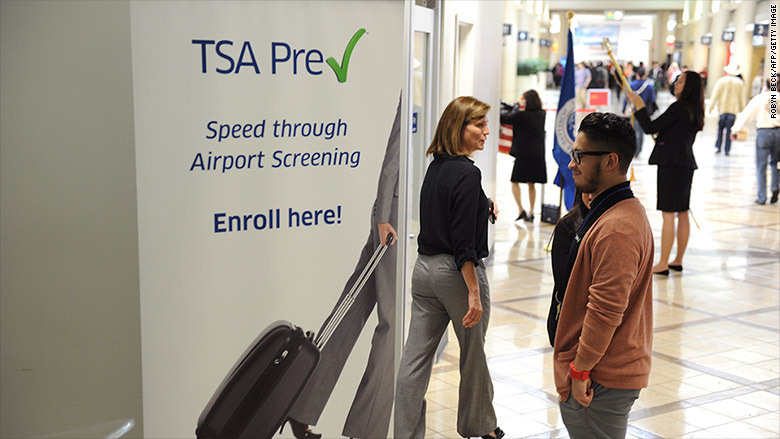 The airline announced Thursday that it will cover the cost for TrueBlue members who've reached Mosaic level to sign up for TSA PreCheck. PreCheck lines tend to be much shorter than the normal security lines because the pre-screened passengers do not have to take off their shoes, belts or jackets and can keep their liquids and laptops in their carry-on luggage. To apply for the program, travelers must fill out an application and visit an application center to submit the required documents and be fingerprinted. There's an $85 fee that covers five years of PreCheck clearance. Once approved by the government, travelers receive a known traveler number (KTN) that they enter when booking flights that allow them to go through the expedited lines. JetBlue will email Mosaic members who currently don't have a KTN by July 1 with a code that will cover the fee. The vouchers have to be used by September 30. This promotion only applies to travelers who have earned Mosaic status before June 30. To reach the Mosaic level, travelers must fly at least 30 one-way JetBlue (JBLU) flights and earn 12,000 base flight points within a year or earn 15,000 base flight points in a single year. Travelers earn three base points for each dollar they spend on JetBlue airfare. Low ticket prices and improving consumer confidence has led to a surge in air travel recently. The increase in passenger traffic caused some TSA security lines to get backed-up and lead to extra-long wait times. The delays caused thousands of passengers to miss their flights earlier this year, and sent the TSA into a hiring spree to get more resources into airports to help ease the congestion.